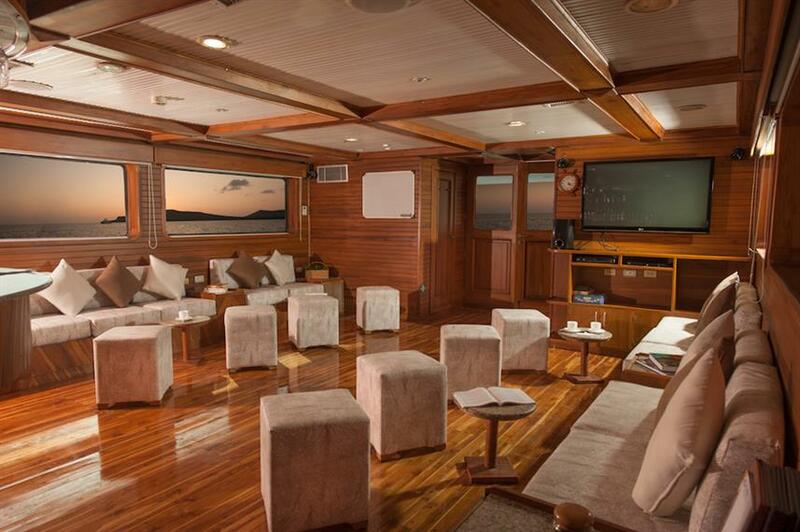 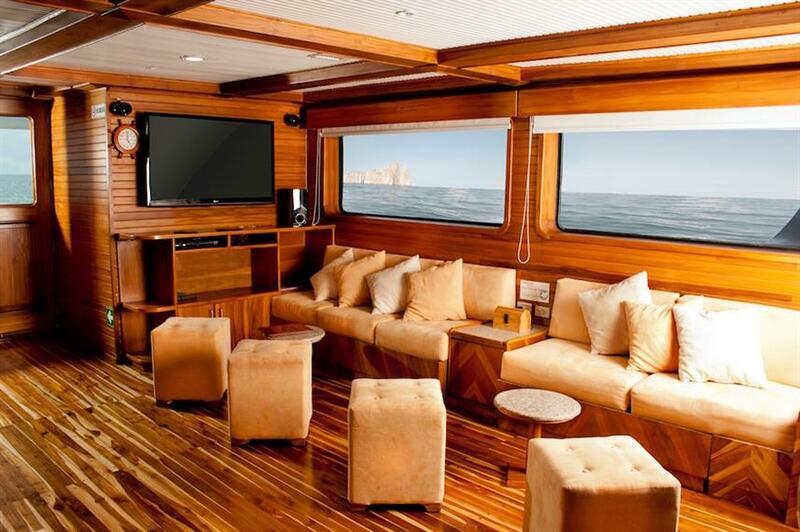 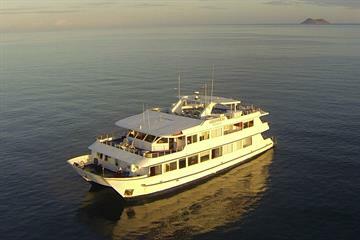 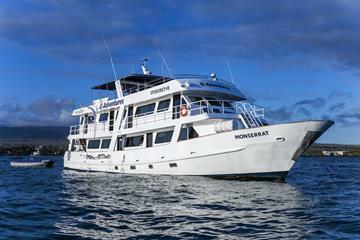 The Galaxy liveaboard is a first class yacht offering exciting cruises to the Galapagos Islands. 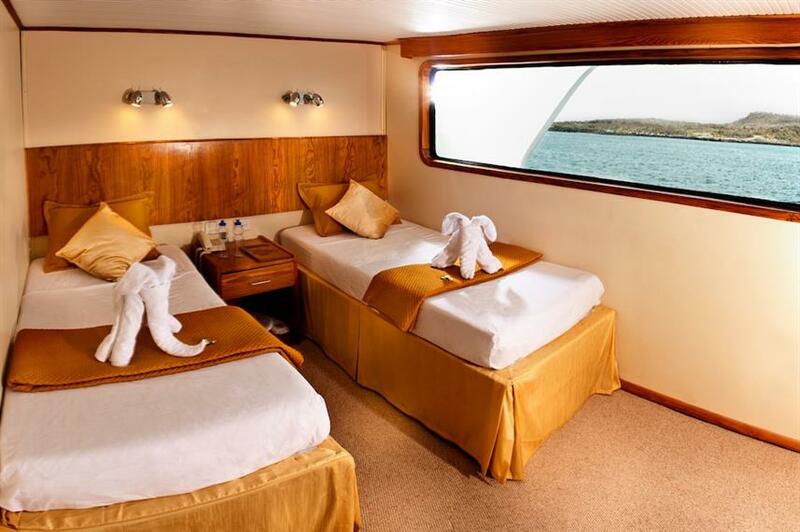 She has the coveted 'Smart Voyager' certification, ensuring a commitment to reduce any negative impacts on the sensitive Galapagos environment. 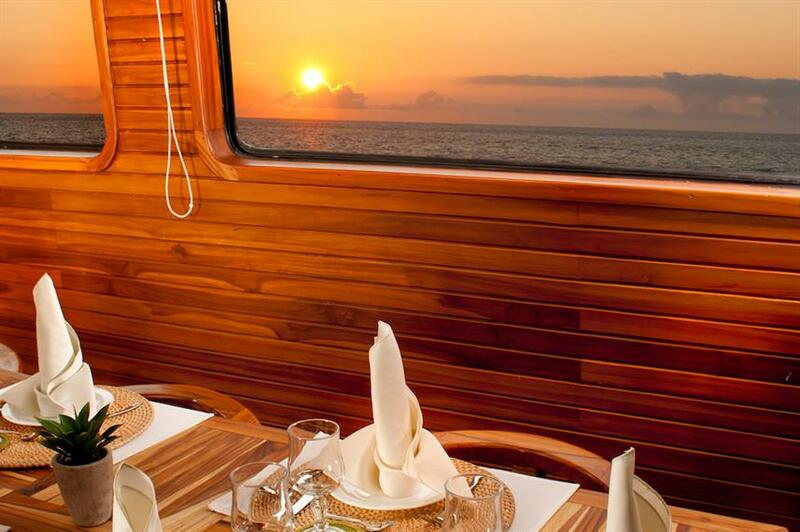 The crew and naturalist guides are trained to the highest standard, to offer a personalized service and unforgettable experience. 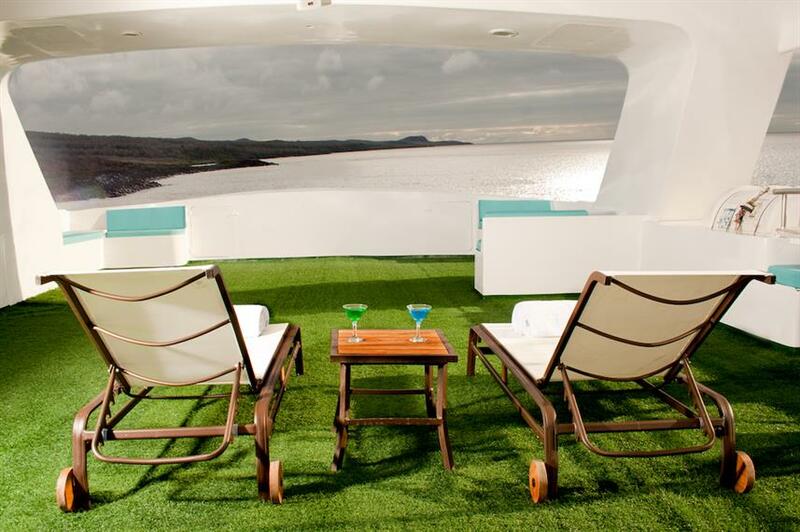 Social areas include a spacious sun deck with loungers which is the perfect place to enjoy the stunning landscapes, outdoor dining room, as well as the indoor lounge, bar, library and dining room. 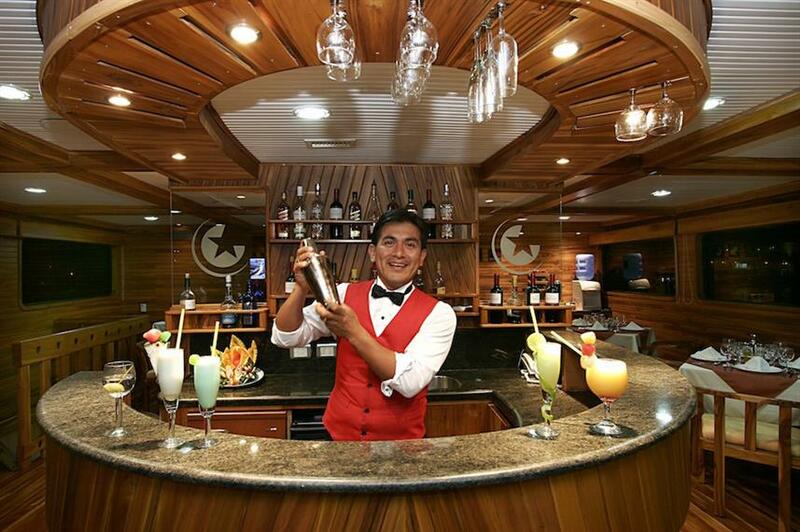 An assortment of table games, videos and books are available for your enjoyment, and a variety of sodas, cocktails, and liquors are available for an extra cost at the bar. 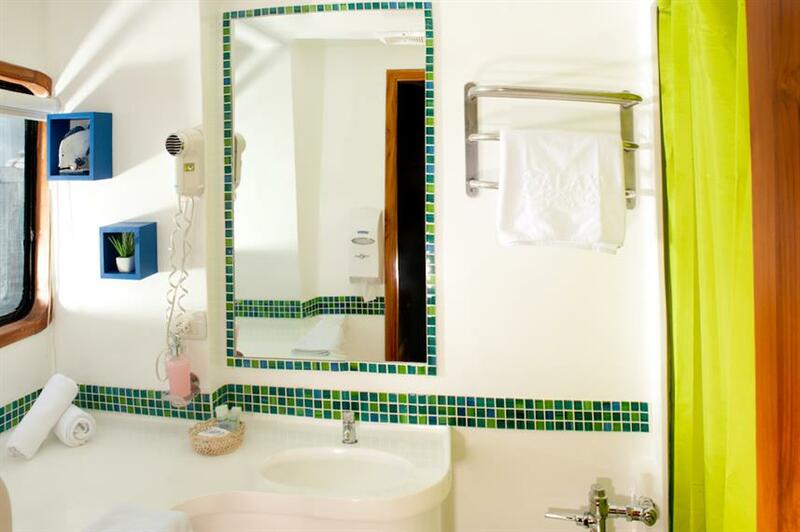 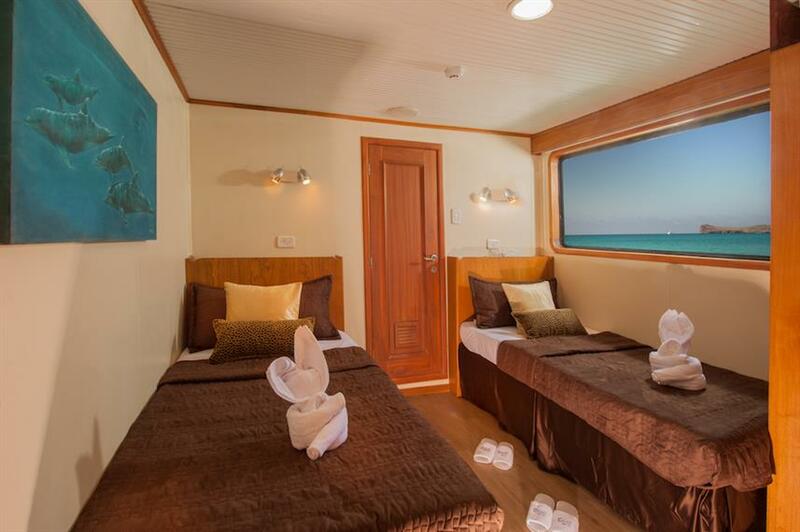 Nine well-appointed cabins are available, each with private bathrooms with hot/cold water showers, air-conditioning, hairdryer, internal telephones and safety deposit box. 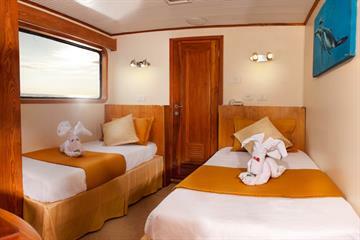 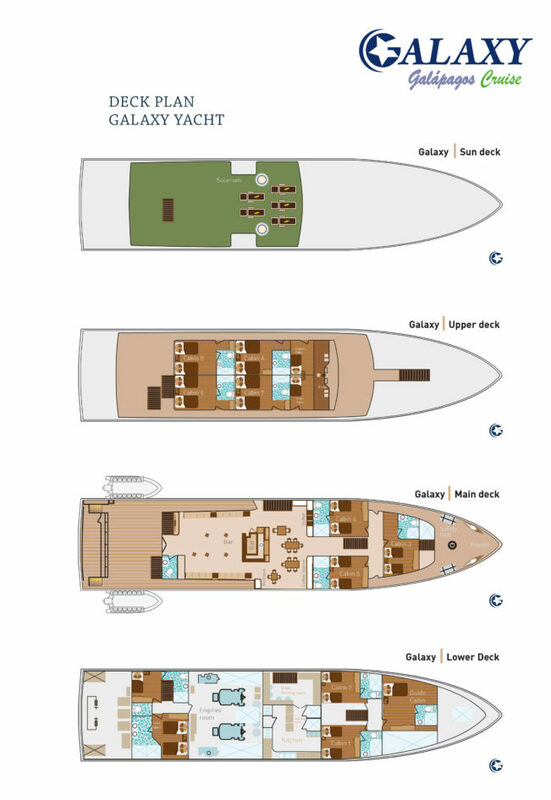 Two cabins are located on the lower deck, 3 on the main deck and 4 on the upper deck. 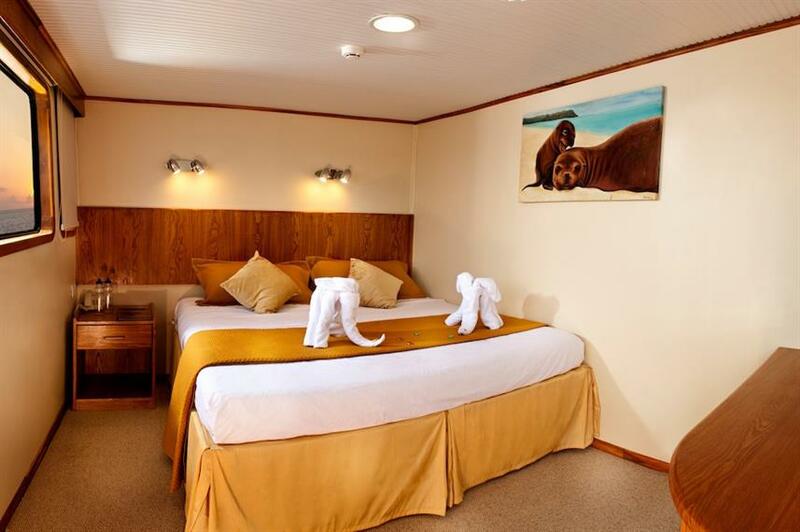 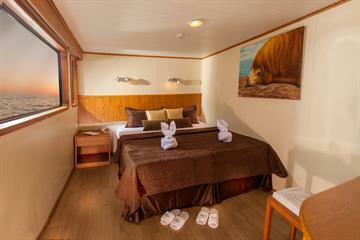 Cabins can be configured to either 2 single or 1 double bed. Galapagos cruises aboard the Galaxy yacht are available as either 4, 6, 8 or 15-day itineraries. 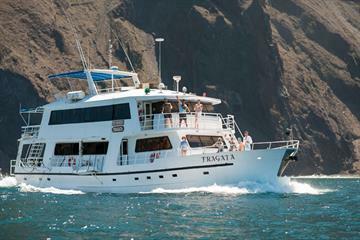 Explore the famous islands of Floreana, Santa Fe, Isabela & Santiago to get up close with tortoise, penguins, sea lions, and a variety of colourful birds. 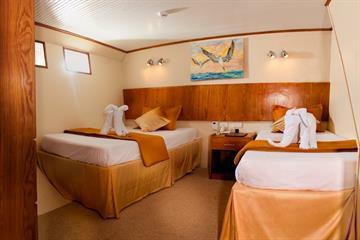 Activities include swimming, kayaking, hiking and snorkelling - snorkel gear is included. 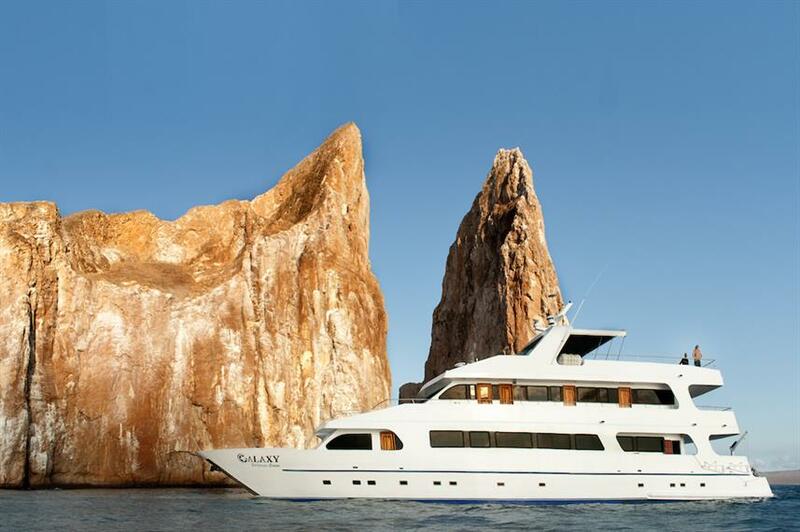 Join the Galaxy yacht for a memorable cruise in the Galapagos Islands. Call us or book online today to reserve your space. 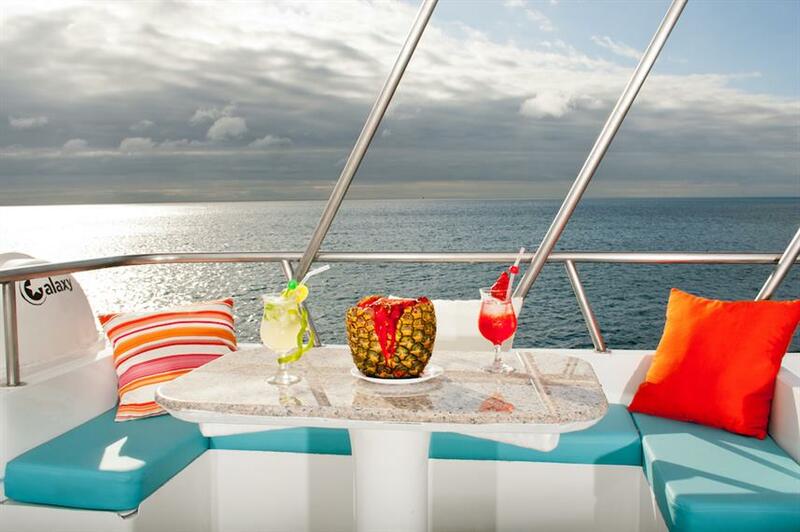 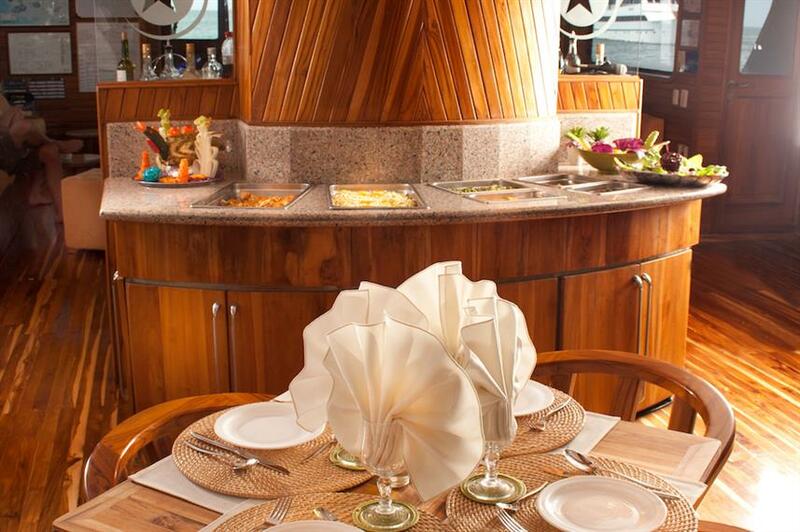 Optional Extras: Gratuities (20-25 USD per day), Alcoholic Beverages, Soft drinks.